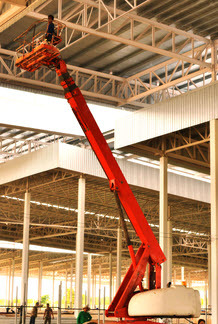 We have drying equipment for jobs of all sizes. AllStates Restoration will work fast to stop damage from water, fire, smoke, soot mold and other reasons, and will then restore your home or business back to its before-loss condition utilizing modern cleaning and restoration equipment and procedures. When completed the damage evaluation, our well-trained certified technicians will come to your property having the top of the line equipment and up-to-date technology necessary to completely clean and restore your home or commercial building. Our experienced field technicians utilize eco-friendly microbials and biosides to completely cleanse the impacted area. Our restoration and cleanup procedure includes using dust-free HEPA vacuum-cleaning and moist wiping with anti-microbial detergents. We have the state-of-the-art drying equipment required to take care of the most difficult restoration and cleanup circumstances. From our truck-mounted vacuums to our extracting, dehumidification and air movers, we use modern equipment for faster drying, more predictable results. Truck-mounted vacuums – Extract standing water efficiently and quickly at large jobs. flood Extractors are used to draw water from wooden floors after a flood. Dehumidifiers – Remove the moisture from the air. Air Movers – Circulate the air into the dehumidifier. Air scrubbers – Filters the bad air and traps it. 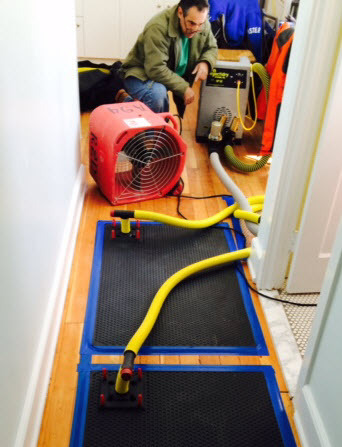 Flood extractors – Super strong Flood pumpers (like shop vac) that draw water from the carpet or a hardwood floor. Thermo / ULV (Ultra Low Volume) foggers – Use a special ULV Fogger or solvent-based deodorizer that is heated and applied as a dry fog and is effective against nearly all odors. Dry ice blasting technology – The best way for cleaning after fire and mold, as dry ice leaves no additional waste behind. [wc_box color=”secondary” text_align=”left”]We can help you cleanup and restore your property after water, fire, smoke, mold, sewage or other damage has took place. AllStates Restoration offers 24 hour emergency service, seven days a week, every day of the year. Call now for your free consultation and written estimate. To schedule your Free Consultation, Estimate, call 732-722-5211 or click here. [wc_column size=”three-fourth” position=”last”]AllStates Restoration has restoration drying equipment rentals available to provide you with the best solutions for all your fire, smoke and water damage as well as mold remediation. We have restoration drying equipment rentals, we make sure you are ready for any type of unexpected disaster that comes your way. Our expert team will help you choose the best restoration drying equipment rentals to fit your most challenging restoration projects. We own a large inventory of restoration & disaster recovery equipment. Our restoration, emergency response equipment is available 24-hour for rent, please call our office at 1-888-651-Cleanup for restoration drying equipment rentals and details. To schedule your FREE Drying Equipment rental Equipment Rentals Consultation and Estimate, call 732-722-5211 or click here.